Both teams left points on the field with a 0-0 draw unbefitting the physical midweek match. The lack of offensive performance gave both keepers a clean sheet. 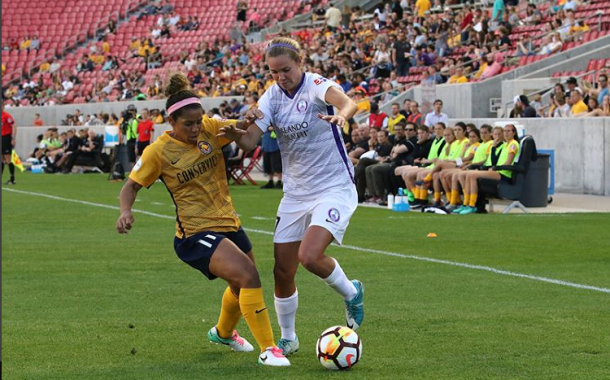 The Utah Royals FC and Orlando Pride played to a potentially costly 0 - 0 draw in Sandy, Utah on Wednesday night. In a match almost completely lacking scoring opportunities, the most important play of the night came when Unted States women's national team defender and Utah forward Kelley O'Hara went down with a non-contact injury. O'Hara's reaction, slamming the ground and crying as she walked off in the 91st minute, certainly sent chills down the spine of Royals and USWNT fans alike. It is too early to know the extent or type of injury, but it appeared to be a leg ailment. 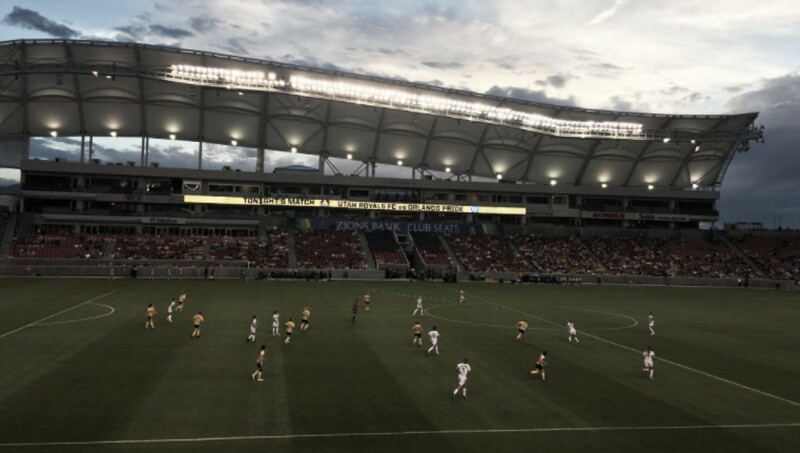 The match opened wth Utah in control, but it quickly devolved into varied midfield posession with no offensive bite. Throughout the entire first half the teams combined for zero shots on goal, despite both sides possessing quality offensive talent. The second half was a little better, but still far from riveting soccer. Utah opened the half with a few good runs, but none of them ended in shots on goal. Emily van Egmond of the Pride had the first shot find the frame of goal, but it ended up right in the arms of Utah goalkeeper Abby Smith. The best chance for Orlando came in the 72nd minute when forward Rachel Hill found herself screaming down the pitch behind the Utah defense. The forward, who played excellently in the Australian Westfield W-League during the offseason, shot the ball right into the gut of Smith, ending the Pride attack. On the other end, forward Amy Rodriguez had decent space from a tough angle, but she completely missed the goal on a similar play. A pair of high-profile injuries rules the night. In the 84th minute, Australian international Katrina Gorry grabbed the back of Orlando forward Alex Morgan and aggressively tackled her to prevent a fast break. Gorry was awarded a yellow card, but Morgan got the worst of it. She landed hard on her shoulder and stayed down for a minute or more in extreme pain. She held her arm gingerly for the rest of the match but was not subbed out. Seven minutes later the Royals suffered a non-contact injury to forward Kelley O'Hara. O'Hara went down, banging on the ground and crying. She left the game immediately under her own power, but her reaction was telling. The extent of the injuries to the two players will be reported on when news is made available. The Pride (2W-3D-2L) will continue their road trip on Saturday when they play Portland Thorns FC (2W-3D-2L) on the road. Both teams played to draws on Wednesday, so they will be similarly drained for that match. Utah (1W-5D-1L) will be off until May 19, when they host the Houston Dash (1W-4D-2L).